Advanced Network Solutions (ANS), a full-featured managed services provider; successfully holds a Statement on Standards for Attestation Engagement No. 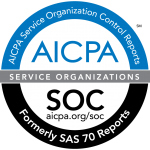 16 (SSAE 16 or SOC) audit for their Managed Services solution. SSAE 16 effectively replaced SAS 70. SAS 70 was an internationally recognized auditing standard developed by the American Institute of Certified Public Accountants and the new SSAE 16 standard comes with additional requirements for service organizations. A SSAE 16 audit is performed by an independent auditing firm and examines the controls and processes involved in monitoring clients’ network infrastructure. The successful completion of the voluntary audit illustrates Advanced Network Solutions’ ongoing commitment to create and maintain the most stringent controls for monitoring the availability of its customers’ critical systems. The audit, which included detailed review of Advanced Network Solutions controls, was performed by an independent licensed Certified Public Accounting firm that specializes in conducting SSAE 16 audits. The auditor examined Advanced Network Solutions’ controls related to physical and environmental security, availability of the production monitoring system and customer systems, logical access to the production monitoring system and customer systems, and more. Advanced Network Solutions received a Service Auditors’ Report with a clean opinion and no exceptions were noted during testing, demonstrating that Advanced Network Solutions’ policies, procedures, and infrastructure for availability and security met or exceeded the stringent SSAE 16 criteria. Advanced Network Solutions’ successful completion of a service auditor’s report reinforces to their customers that Advanced Network Solutions is committed to providing superior managed services and solutions. SSAE 16 audits have become increasingly important for third party service providers since the passage of the Sarbanes-Oxley legislation, which requires a company’s business partners to have adequate internal controls. Advanced Network Solutions’ customers can easily incorporate its Service Auditors’ Report in their Sarbanes-Oxley compliance programs as proof that appropriate controls are in place. The SSAE 16 audit can also help Advanced Network Solutions’ customers to comply with other regulations, including HIPAA (Health Insurance Portability and Accountability Act), GLBA (Gramm-Leach-Bliley Act of 1999), and ISO 27001.